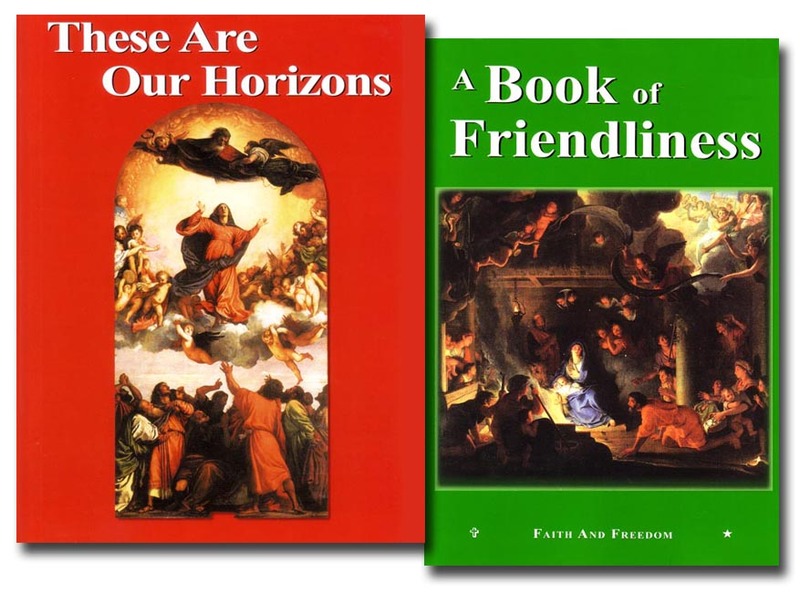 The set includes both eighth grade readers from the classic Catholic Faith and Freedom Readers first published in the 1940's and 50's. Uplifting stories uphold traditional family values, such as respect, unselfishness, and honesty. Originally published by Ginn and Company. Full color. 8.5 x 5.75 inches. Soft cover. These are Our Horizons, 385 pp. A Book of Friendliness, 496 pp.